Sometimes I think that people create habitual patterns of telling others how stressed they are. They associate stress with negative situations in their life but that’s not necessarily true. Stress can also be good for us. There are two kinds of stress and I encourage you to think about the difference. Is perceived as within our coping abilities. Can be short- or long-term. Is perceived as outside of our coping abilities. There are times when we have to deal with difficult situations and we should be mentally prepared for these times. Your mind is trying to drive you nuts if you don’t know what to do about it. Control your mind or it will control you. 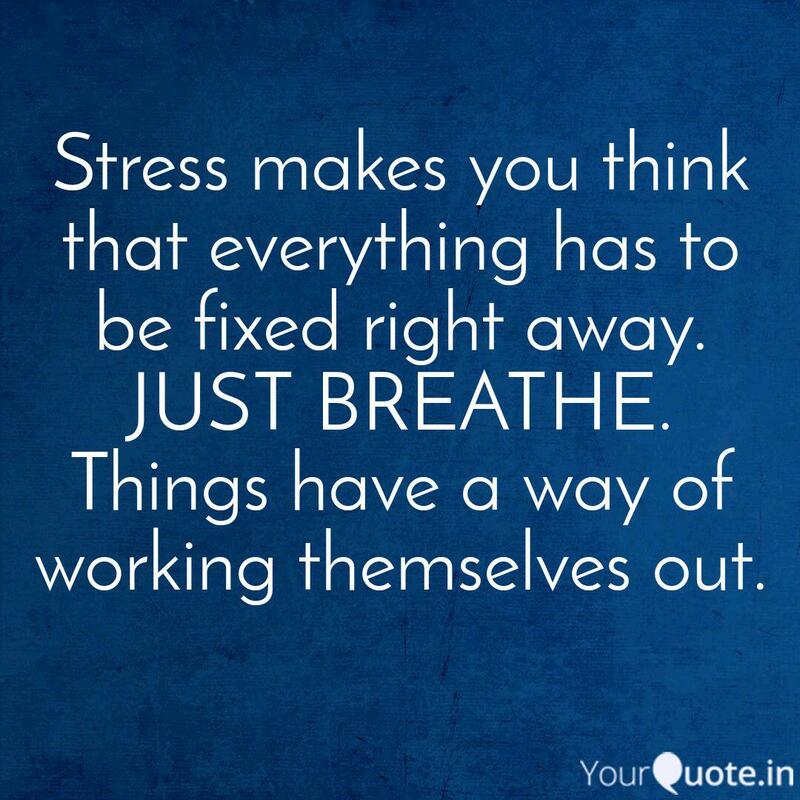 If times seem to be super stressful for you…. Remind yourself that everything is going to be o.k. Accept yourself and where you are at when it comes to stress management. Keep calm. You will get a little bit better each day.